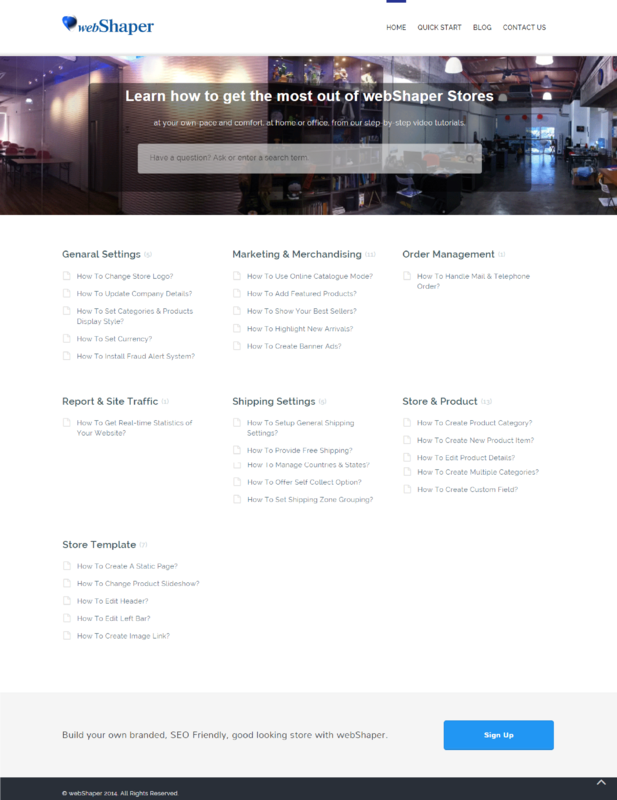 So, are you struggling with the webShaper control panel? Learn how to get the most out of webShaper store at your own pace and comfort, at home or office, from our step by step tutorials. All tutorials can be easily accessed here. If you can’t find the tutorials that you want, feel free to leave us a message and we will work on putting up the tutorials just for you. We will be updating the tutorials from time to time so stay tuned!